Yard sale season will soon be in full-swing. As people declutter their homes and do some spring cleaning, they will begin gathering their unwanted items to sell at garage sales and yard sales. There are a lot of bargains to be had by shopping at yard sales. Your best bet is to check local bulletin boards and newspapers for yard sales in your area. Craisglist is another great way to find yard sales locally. Find garage sales, yard sales, and estate sales GSALR or on this yard sale treasure map. Make a list of the ones that you’d like to attend. Try to plan your route so you’re not driving from one end of the city to the other. As you travel your planned route, watch for yard sale signs. However, keep in mind that not everyone advertises their yard sale. You may find great yard sale bargains at these sales because few knew about them ahead of time. If you’re looking for older, larger items like collectibles and antiques, be sure to visit older neighborhoods. People in these communities clean out their attics and basements, so you can usually find good vintage furniture and other collectibles in older communities. 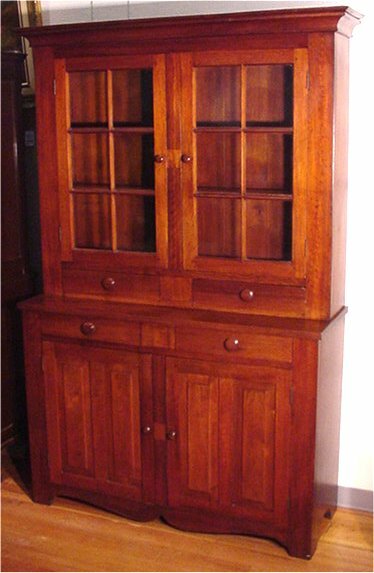 I once bought a pine cupboard (similar to this one, circa 1905) for $50 at a yard sale in such a neighborhood. Its value was over $200. If you’re looking for children’s clothing, toys, or electronics, shop in newer neighborhoods. People who live in newer neighborhoods tend to buy new things more often than those in the older sections of town. Neighborhood sales and church sales tend to have the best selection of items from lots of different families. Basic yard sale etiquette requires that you don’t try to buy items before the advertised start time of the sale. Your best bet, if you happen to arrive early, is to greet the yard sale host when you arrive and if he isn’t busy, chat for a few minutes. Conversation can sometimes alert the seller to specific items that you are interested in. Have a list of the things you hope to find at a yard sales. You never know, today may be that day! Also look for things that would make nice gifts. If you find something in like-new condition at a great price, now that is a yard sale bargain! Take reusable cloth bags for your garage sale finds. Of course plastic bags that you get from department stores and grocery stores would also work. Some yard sales hosts provide bags, some don’t. Even those that do won’t always have enough bags to accommodate everyone. Take small bills and change for little items that you might want to buy. Some sellers may not be able to break a $20 for a 50-cent item. Check items carefully before purchasing. Are all the pieces attached? Is the item chipped, cracked or stained? If so, offer a lower price. Carry some batteries with you to check out battery-operated items. Yard sale hosts usually have an outdoor electrical outlet to test electronic items, but they don’t always have batteries on hand. That way, you can make sure that items work before you buy. If you find something that you think you want, carry it around until you make your decision. The best yard sale bargains are usually snatched up right away. Think ahead. Look for items that are off-season, such as garden tools in the fall and Christmas decorations in summer. These will be offered at bargain prices at yard sales. If you ever plan on having a yard sale of your own, or if want to start buying and selling things via online auctions, then look for items that you could resell. Some people make thousands of dollars each year by reselling items they’ve picked up at yard sales! Don’t hesitate to offer a lower price than what things are marked at yard sales. 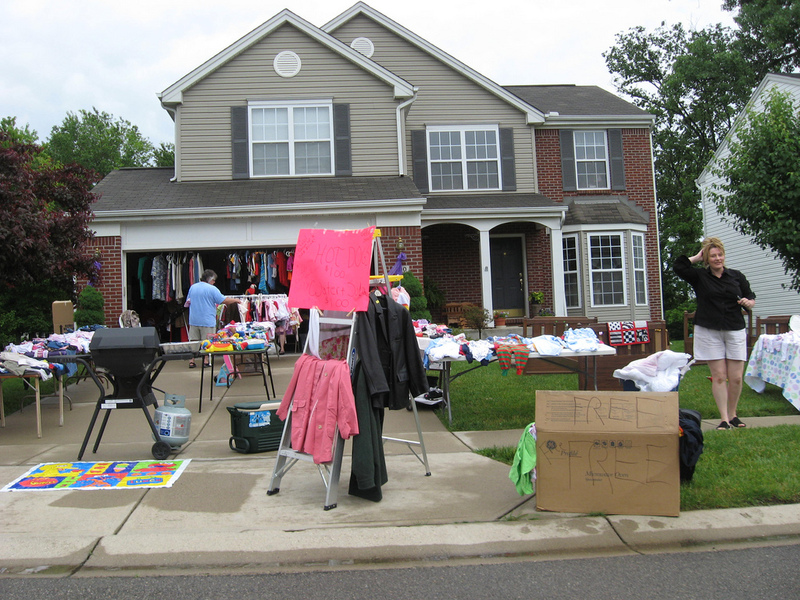 Some yard sale hosts have firm prices, while others will drop the amount considerably. If the seller clearly won’t haggle, then be polite and move on. Yard sale items that are priced under $5 can often be included when you purchase a higher priced item. For example, if you buy something for $20, ask the seller if they will throw in that $3 item you’re also interested in. When yard sale items are marked “best offer,” start with a low offer and go up from there. Otherwise, you may pay more than the price that the seller had in mind! For example, if the seller figured he could get around $16 for a “best offer” item and someone offered $25, then he would be quick to accept this higher offer. So be sure to offer a low price in the beginning. Yard sales are a great way to purchase items you need at rock-bottom prices. They’re also a great opportunity to socialize with other bargain hunters and possibly make a few trades! Go early, have fun, and be careful of yard sale scams.